You slipped. You tripped. You fell. You’re hurt. Maybe embarrassed. Maybe mad. What should you know about slip and fall accidents? What about your injuries? What evidence do you need? What can you do right now? Obtain the names, telephone numbers and addresses of any and all witnesses who may have seen, or even heard, you fall. Additionally, be sure to obtain the names, phone numbers and addresses of any and all employees who may have witnessed you fall. Attempt to recall any statements made by store employees at the time of the accident that can be used later to imply liability. For example, “I was told to clean that up,” goes to the issue of notice and serves as proof that the store management knew a problem existed. Make sure your fall is promptly reported to the store manager or person most directly in charge of the premises. Determine/Identify the substance or item that caused you to slip or trip and fall. If you have a cell phone that shoots video or takes pictures, make sure you take a shot of whatever was on the floor or in the vicinity that caused your fall. In the event you are without a cell phone that is photo or video capable, try to find someone nearby to take a picture with their cell phone. You also may want to see if the store you are at sells disposable cameras as well. If possible, attempt to determine the origin of the substance or item you slipped on. For example, there may have been water leaking from a malfunctioning refrigerator or freezer. By showing that the substance had been on the floor for a long period of time, it could show that management or an employee of the store had the requisite notice of the hazard, and thus had ample time to clean up the material before you slipped and fell. Try to get a copy of the incident report that will likely be prepared by a manager in response to your accident. Seek medical help. You may not feel that bad initially, but you don’t know what damage you may have done to yourself internally. Many of us have not slipped and fallen that hard in the past and just don’t know how our bodies will hold up. It is recommended that you contact your doctor or go to an emergency room or urgent care facility immediately to get checked out. Some slip and fall injuries you may feel at the scene of the accident, while others may manifest and show their injuries and effects later. Call a Miami Slip and Fall Injury Lawyer and get legal help immediately. Often times there is a defect or problem in the property itself. Steps may not be code compliant or there might be a structural issue with the premises that caused you to trip, slip and fall. That’s why it is important to get a Miami Slip and Fall Attorney immediately so he or she can go to the scene and take photographs/video to establish the defective nature of the property before anyone tries to correct it. We have even seen where an owner may try to correct the defect and claim it did not even exist at the time of the accident. So, preserving slip and fall evidence is important. Understand that property owners, retail stores and commercial corporations are not going to help you prove your case. They will claim any defense. Most stores have established policies and procedures to document slip and falls in ways most helpful to the defense. They will often have video surveillance that they try to hold on to until after you testify. Our Miami Slip and Fall Attorneys deal with this tactic on a regular basis and we are ready for it. To win your slip and fall case, it is first up to you at the scene to get the evidence that you can. Then it is your Miami Slip and Fall Attorney’s job to make sure your case is proven and that you are compensated appropriately. The Miami Slip and Fall Lawsuit and Litigation Attorneys at Wolfson Law Firm can represent you and your family from the moment you call us up to and including trial and/or appeal if necessary. The Wolfson Law Firm is a full service personal injury law firm that regularly accepts cases referred for trial purposes from other attorneys. You should make an informed decision by reviewing your personal injury attorney’s recent cases, background and qualifications. 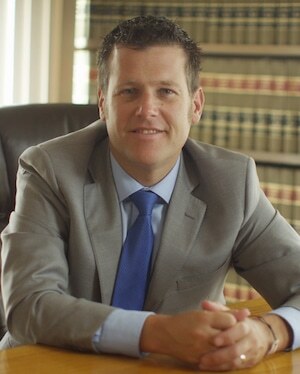 The choice of your attorney is a important – you should be comfortable in your decision. If you or a family member is seriously injured in a slip and fall in South Florida, then you should call the personal injury attorneys at Wolfson Law Firm. We have been representing injury victims and the families of those lost in wrongful death since 1963. Jonah Wolfson is a bilingual personal injury attorney in Miami and is available to speak to you now. Call today at (305) 285-1115 for a free consultation. The Wolfson Law Firm represents people with personal injuries at the Miami International Airport and in the communities of Allapattah, West Palm Beach, Little Havana, Wynwood, Miami Gardens, Westchester, The Roads, Shenandoah, Biscayne Gardens, Naranja, Wilton Manors, Coral Springs, Victoria Park and all across South Florida neighborhoods.